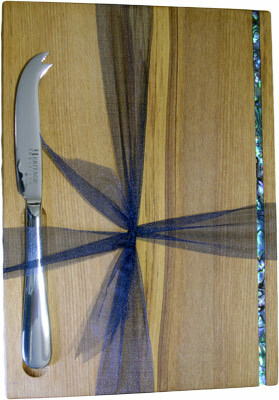 Kitchen Accessories Serviettes Magnets Ice Trays. 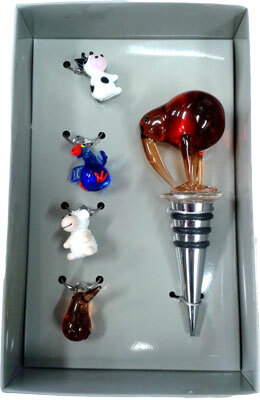 A fun selection of Kitchen accessories that will help in the kitchen and maybe provide some fun with visitors and guests. 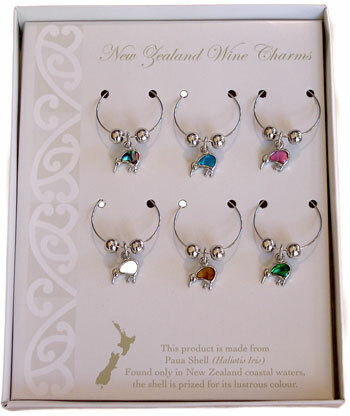 Our wine charms are becoming very popular making wonderful truly appreciated gifts. 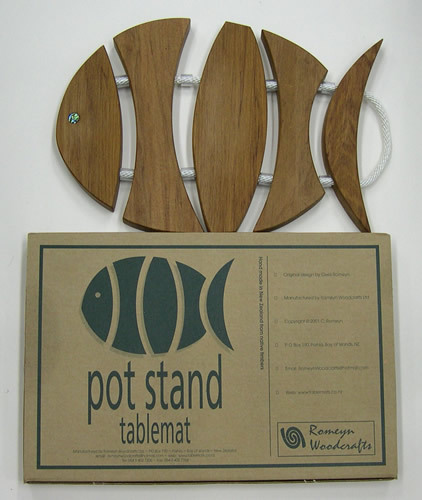 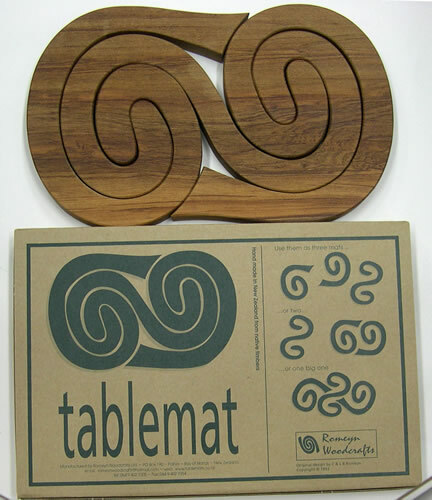 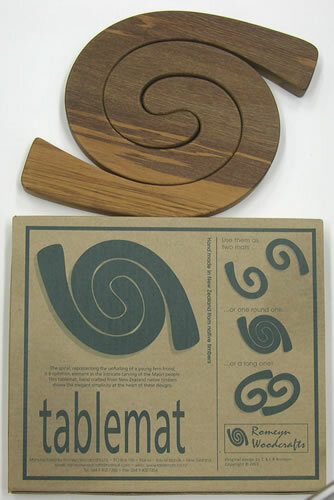 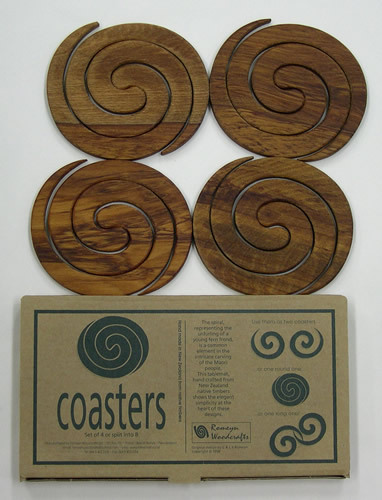 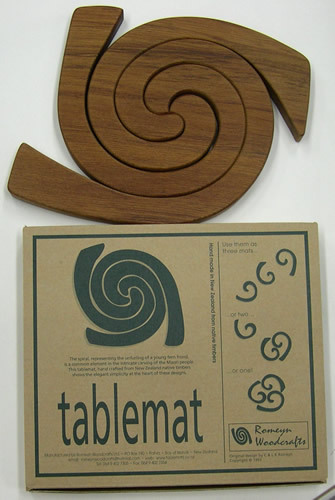 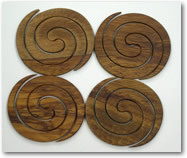 We have included our range of wooden placemats as they are an essential in every kitchen. 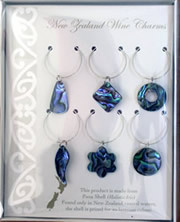 Simply put your own wine charm around the base of your glass. 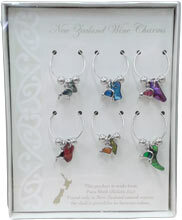 There is a Cow, Pukeko, Sheep and Kiwi. Save left over wine with this quality wine bottle stopper with glass Kiwi. 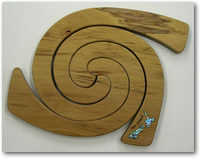 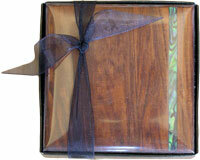 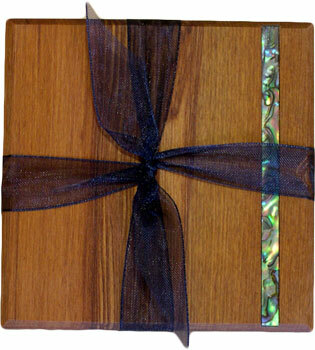 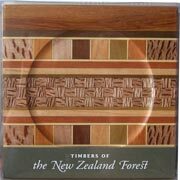 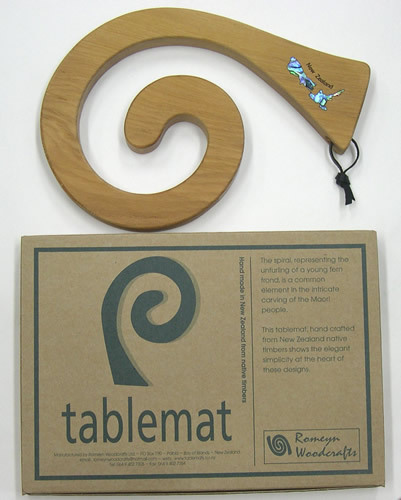 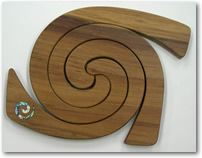 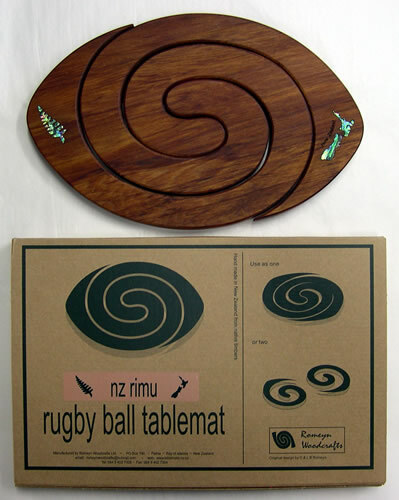 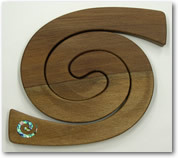 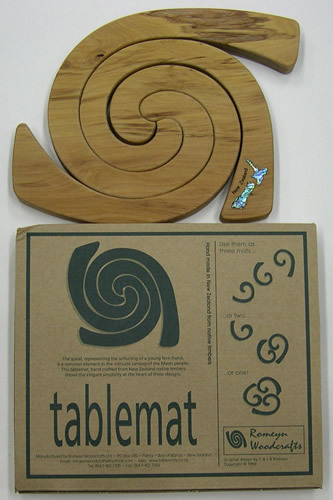 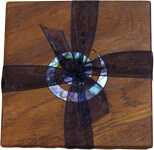 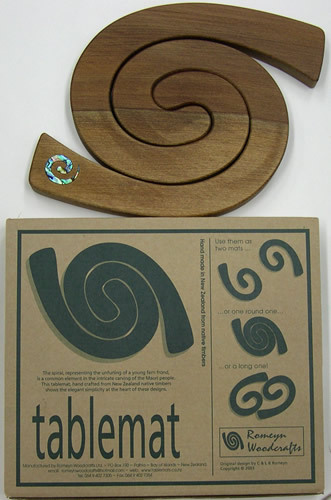 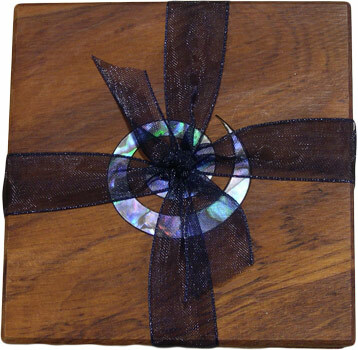 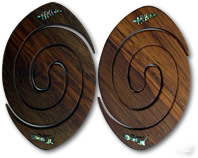 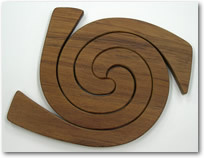 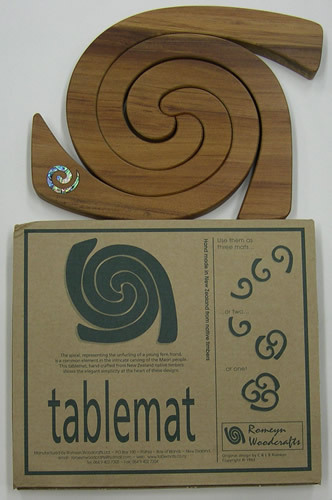 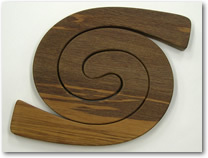 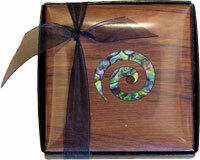 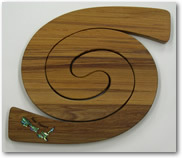 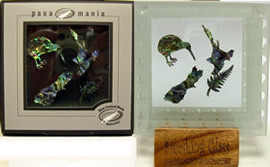 Double Rimu Tablemat with inlaid Paua Shell Koru. 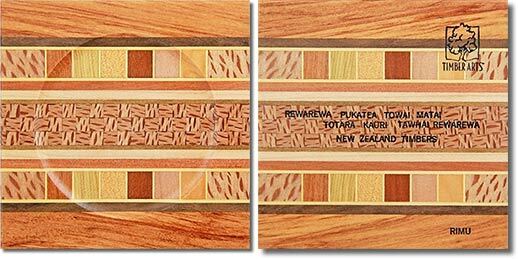 Double Rimu Tablemat with inlaid Paua Shell New Zealand Map.